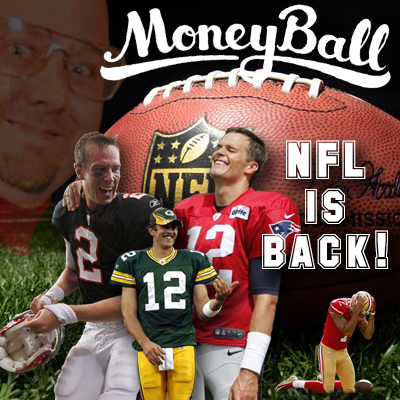 Rummerz’ NFL Week 12 Moneyball Money-blitz! There’s some cracking fantasy-relevant games this Monday, check out who Rummerz likes in week 12. Brown put on a clinic last week, with a 10-144-2 scoreline. This week he faces a Green Bay secondary giving up the 8th most fantasy points to the WR position. TB12 has thrown an average of 300 yards and 3 TDs his past two games, and he’s hosting Miami at home. Wilson has been their best running back this season, with 376 rushing yards and 2 rushing TDs. He meets the 49ers who give up the fourth most points to QBs and the most to RBs. He could eat them alive. With Tyrod back in the driver’s seat, we should see the classic Shady put in work against a Chiefs offence that can be stingy, but also allow 130 yards on the ground, a majority of which he will see. Last week Hunt was held out of the endzone again, but did get 73 yards on 18 carries for 4 yards per carry. This week he meets Buffalo giving up the second most fantasy points to RBs. A lack of a run game in Seattle has forced their QB, Russell Wilson to throw a lot, and Graham has benefited from this, scoring six TDs in his last five games. Johnson has notched up double figure over his last two games, and found the endzone last week. He has value as a pass-catching RB and Crowell appears to be battling a shoulder issue. Stills has a rapport with back up QB Matt Moore, scoring 27.5 fantasy points last week. If Cutler sits due to concussion, Stills can put up big numbers versus New England. Ty Montgomery has a ribs injury, and even if he does play he might not see a lot of action. Williams will be hoping to make the most of his volume. With the news that JuJu is out with a hammy, you’d expect Bryant to step up and see some more targets. He height can cause a headache for opposition matchups. Ingram ran for a whopping 134 yards from only 11 carries last week and meets the fourth-worst Rams defence this week. Kamra and Ingram are playing so well, you could easily stack them most weeks. They are both effective on the ground and are great catchers. New Orleans have some injury concerns at defence, so if they give up points this well may turn into a shootout. Coming off five TDs in his last two games, Dalton meets a Cleveland defence that gives up the 12th most fantasy points to QBs. With Freeman set to miss another week, Coleman is again the every-down back. Tampa Bay are susceptible to allowing big scores from pass-catching RBs. A Kroft/Dalton stack could net you big points in this game with Cleveland giving up the third most fantasy points to TE. Rummerz’ NFL Week 11 Moneyball Money-blitz!